Did you know we are truck body builders? Sometimes getting the right truck for the job means modifying it to do all that’s required. What do you need your truck to do? Tell us what has to be done and we’ll make it happen. Because you drive us, we’re leaders in commercial truck body building and fabrication. We supply the parts you need, fit them to your truck and certify the work. 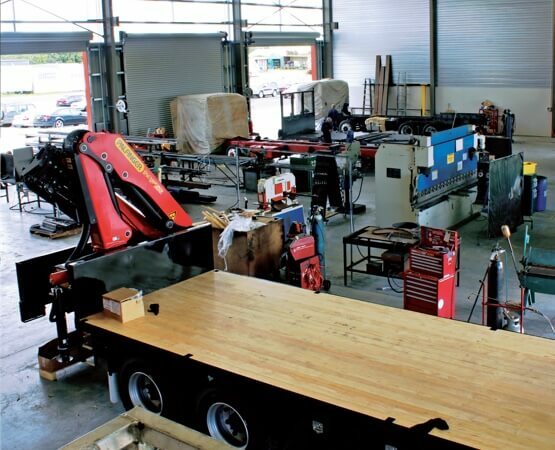 As qualified truck body builders, there’s no job too small or too big, too simple or too complex. We want you to be completely happy that your new truck will handle all the tasks required of it. After all, you’ve got a business to run and your truck is your livelihood. We understand that. If you’re looking for a new truck and you’ve got a wish list ready, please give us a call. We can chat about how to create a customised body build solution tailored to your needs. Once we’ve talked through your needs and you’re happy with our ideas, we get to work creating a plan for the build. We provide you with 2D drawings on all quotes for body builds so you can be certain you’re getting exactly what you want. We also use the latest 3D CAD software to prepare for all design and build projects. We do this so we can show you all the key lengths and measures as well as how the modifications will work for you. Simple ways we can customise your truck handle your jobs are by adding: tippers and cranes. Or we can look at making changes to your chassis and body to suit your industry requirements. We are a certifying manufacturer and we stand by our work. What this means for you is that we supply parts for, fit, install and certify modifications. With health and safety becoming a growing concern in the transport industry, it pays to know any changes or additions are up to standard. Looks aren’t everything but we know your truck is a great way to get in some advertising. You also feel good driving around in a truck that looks neat. To help keep your truck attracting attention for the right reasons, we offer a complete panel and paint service. From a simple cab/chassis tidy up or the painting of a truck in fleet colours or a full refurbishment, we’ve got you covered. If something has changed within your business or there’s something that could work a little better, let’s have a chat and see how we can improve your truck.